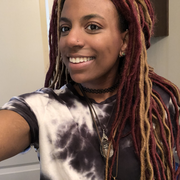 My name is Sierra I'm 21 I moved to Denver from Maryland February 2017! I've been in the child care field since I was 12. I received my safe sitter and CPR/first aid certification before going to middle school. I babysat after school and on weekends until I turned 18 then I started working in early childhood education! I've been a child care teacher for 4 about years now and have much experience working with all age groups. My CPR and first aid certification is up to date. Working with kids is a passion of mine and I believe it takes truly dedicated and hard working people to put their 110% in this field and I would categorize myself as one of those people. I work very well in a fast passed environment and consider myself a people person. Please feel free to ask me any questions I'd be happy Read more to answer !